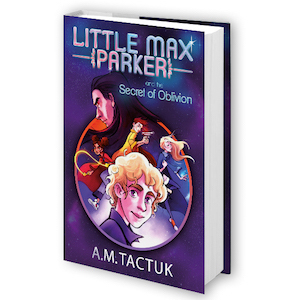 Little Max Parker and the Secret of Oblivion is a children’s fantasy story with a twelve-year-old boy and his three best friends discovering their supernatural abilities, which they use to save a girl against evil. Ever since he can remember, Little Max Parker has had superpowers he cannot explain. One day, he is visited by a strange being of light who tells him that, due to his abilities, he has been chosen to save a girl named Lena Sundance from a demon called Malphas The New. In order to do that, he and his friend TJ are taken to the mythical island of Hy-Brazil, where they will meet Lisa and Matilde, the two other members of their team, and they will receive special training and weapons for their mission. While preparing for such assignment, the four of them discover that there is a secret surrounding Little Max Parker’s life. Apparently, he is not the person he thought he was and there are important things, a magical past, which he has forgotten. In order to save Lena and face the many dangers and challenges of the demon world, the kids start unveiling such past by trying to discover the secret of oblivion.